Tweedy has a 12 min song on the new album. I don’t… But this DID just come in the mail today. hey. so here is a bad idea. Harper Collins book publishers called. 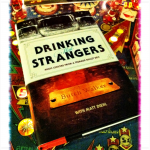 they wanted me to write a book. i said, “i am boring”. they said, “we like your blogs”. i said, “okay”… so…here comes the hardback version of myself. 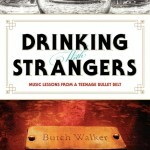 ”Drinking With Strangers: Lessons From A Teenage Bullet Belt” is finally here. it’s not my favorite thing to do (shameless self-promo) but just as my hand was forced to type the long-form version of my life for this thing, they said i should mention it’s release date October 25th, 2011.
if anything, you should read it because it can be funny at times, and maybe you will learn what NOT to do in the music world (there’s also some funny pie chart illustrations throughout).